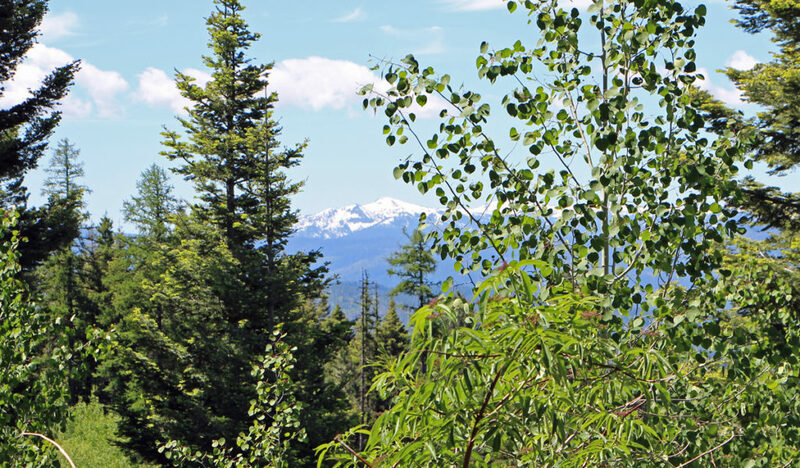 Brundage Mountain is a beautiful place to explore on foot, with options to fit every level of fitness and ambition. 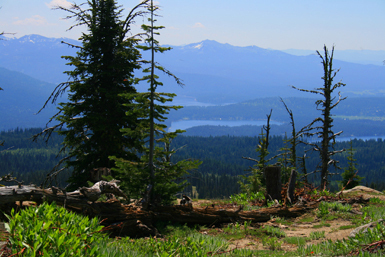 South Lodge Lane offers 3.1 miles of hiking from the summit (or hike up AND down for a 6.2 mile adventure). For a shorter but still stunning hike on the summit, try our Hidden Valley Overlook trail, which is 2/3 of a mile out and back. 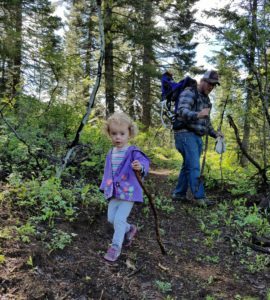 There’s a 4.7 mile loop you can take from the base area to mid-mountain and back, OR, take a leisurely one-mile jaunt on the base-area Nature Trail for a warm up or to get little ones in the habit of hiking and enjoying the forest. Our 1-mile nature trail winds through the forest for a mixture of shade and open vistas. This is a gently rolling trail, which takes about a half an hour to complete at a moderate pace. 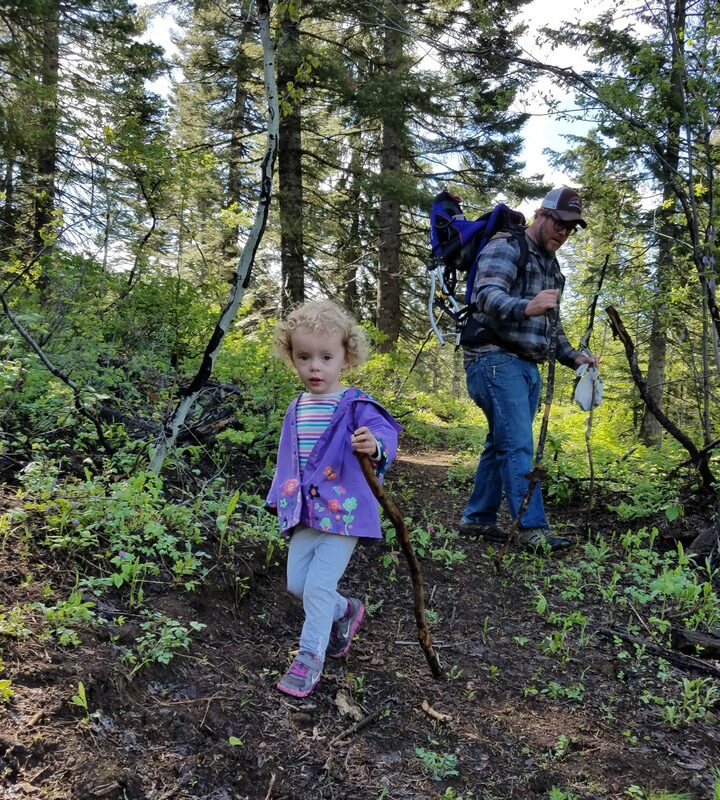 It’s a perfect loop for families just getting their little ones into hiking. 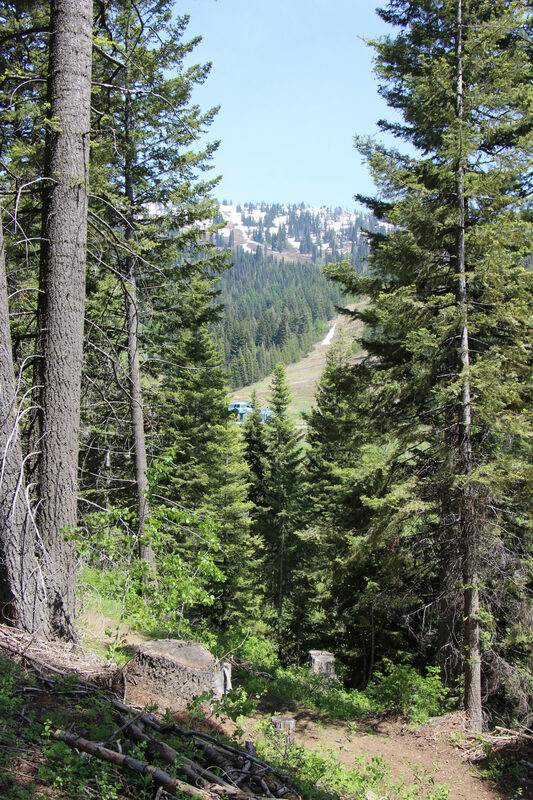 In addition to beautiful views of the Goose Creek drainage, you’ll see peek-a-boo views of the Brundage ski slopes. There are a few nice places to ‘pull off’ and rest for a while, including our beautiful new ‘selfie bench’ at the big mossy tree. The trail is well marked, the trail head takes off from the West end of our upper parking lot. If you need help finding it, stop by the FallLine Shop on the second floor of the lodge. It’s open seven days a week and our friendly store staff is always happy to help point you in the right direction! 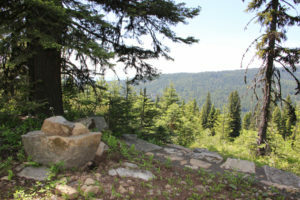 More ambitious hikers will enjoy the challenge and rewarding views from Black Bear Loop, which provides a mostly-shady, 4.72 mile shared-use hike. 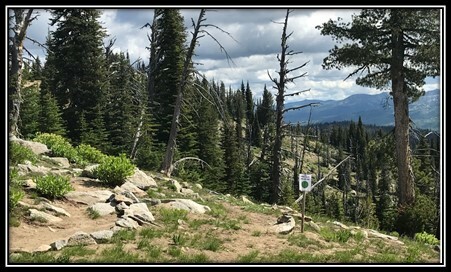 To access Black Bear and Black Bear Loop, head south from the Lodge through the Triple Play Skills Park and onto Black Bear or Black Bear Loop. 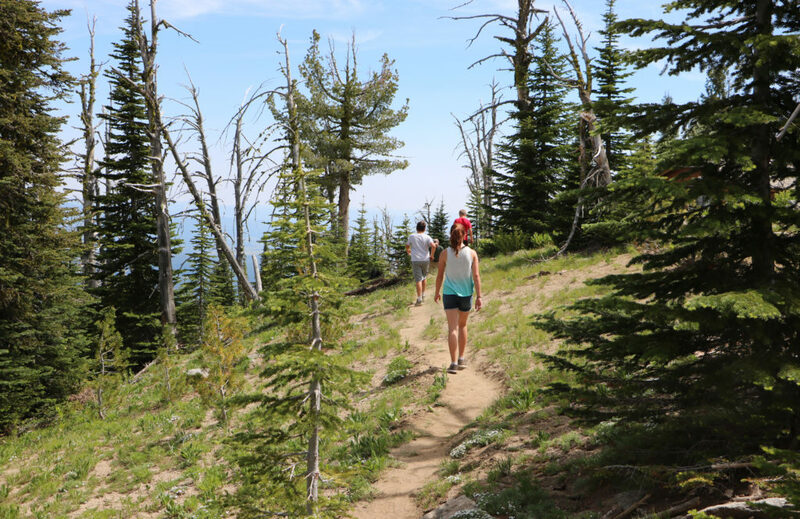 This hike is considered moderately difficult and should take most seasoned hikers 2 to 2-1/2 hours to complete. Please be aware that the trails on this loop are also open to mountain bikers. These trails work well for shared use because they have some wider areas to make space for both kinds of traffic. The most ambitious hike on the mountain is also the most rewarding. 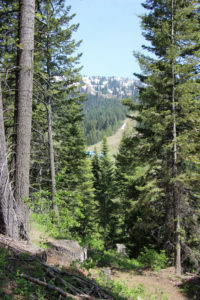 Hikers can climb South Lodge Lane 3.1 miles from the base area to the 7,640 foot Brundage Mountain Summit, then descend the same trail for an additional 3.1 miles. 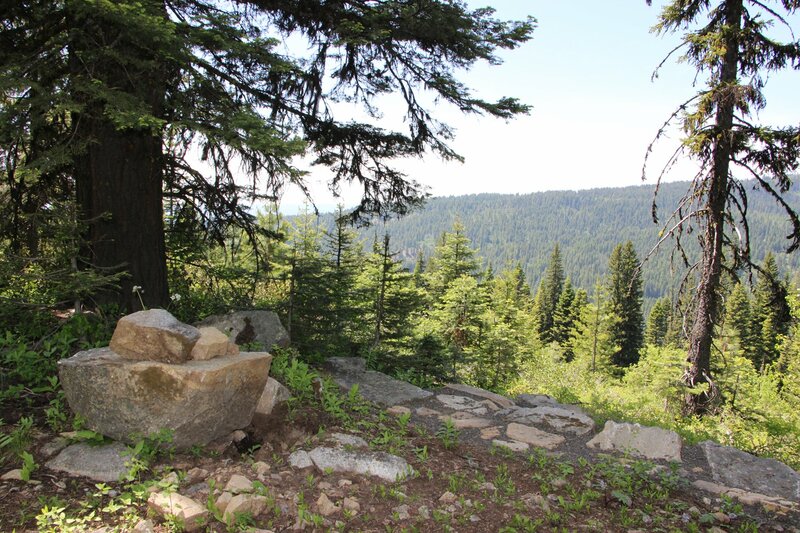 This mountain road is wide and traverses some of the most beautiful parts of Brundage Mountain. Watch for wildlife as you meander around the Bear Chair knob, this is a popular place to spot deer and elk! 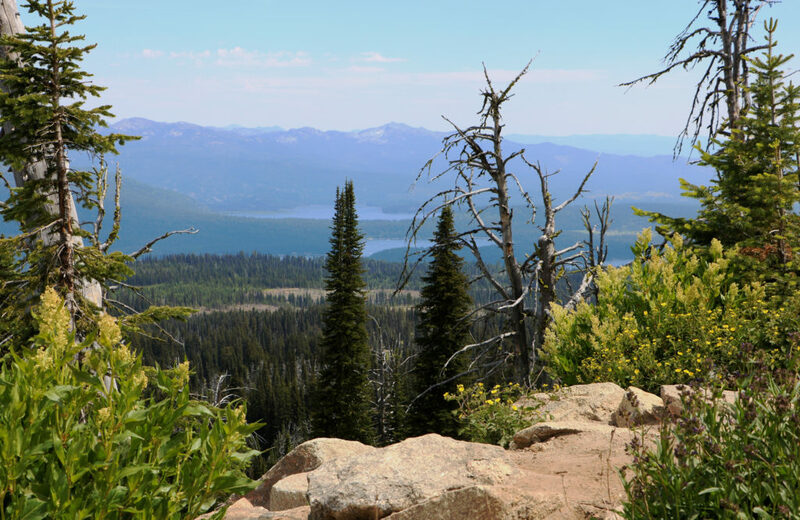 Soon after, you’ll reach Temptation saddle, which offers satisfying views of Payette Lake to the South. 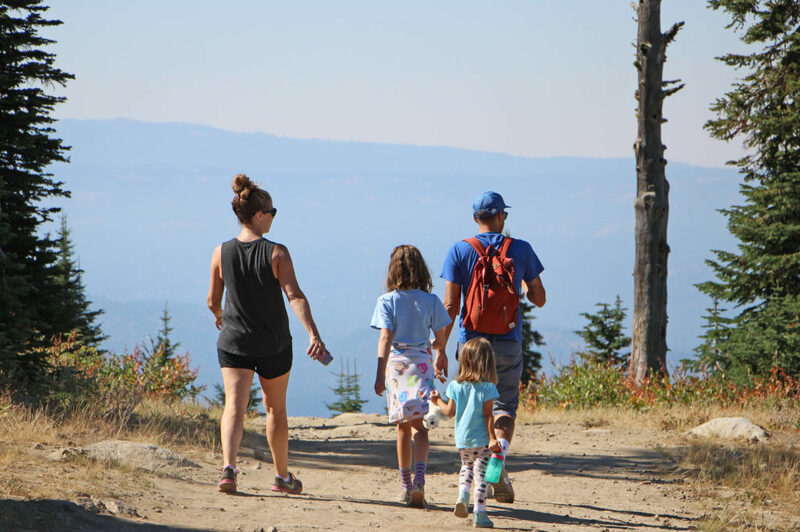 A push to the summit reaps the ultimate rewards – 360 degrees of beauty and a legitimate claim that you ‘summited’ Brundage Mountain! Another option for this hike is to take the Bluebird Express to the summit, then descend 3.1 miles on South Lodge Lane. Either way, you’ll want to pack some water and snacks for your epic journey! 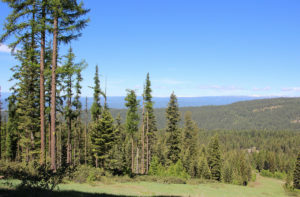 Hidden Valley Overlook offers 360 Degrees of WOW! From the top of the Bluebird Express, turn left (North) and look for the trailhead sign just beyond the Ski Patrol HQ Cabin. This short trail (.3 miles each way) is a short hike with huge rewards. 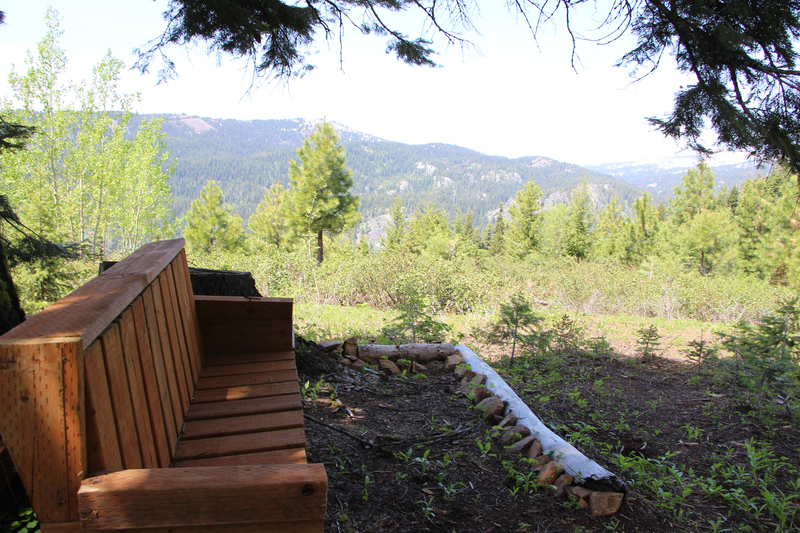 Enjoy views of Hidden Valley, Granite Mountain, and the Seven Devils to the North, the Salmon River Mountains to the East and the Payette Lakes to the Southeast…all from one gorgeous spot! 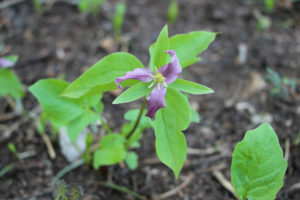 The Goose Creek Trail is a popular out-and-back hike to Goose Creek Falls. 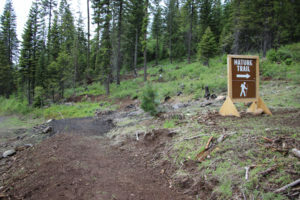 The trail head is located at the western end of the Gordon Titus High Elevation Parking lot, off of Goose Lake Road. 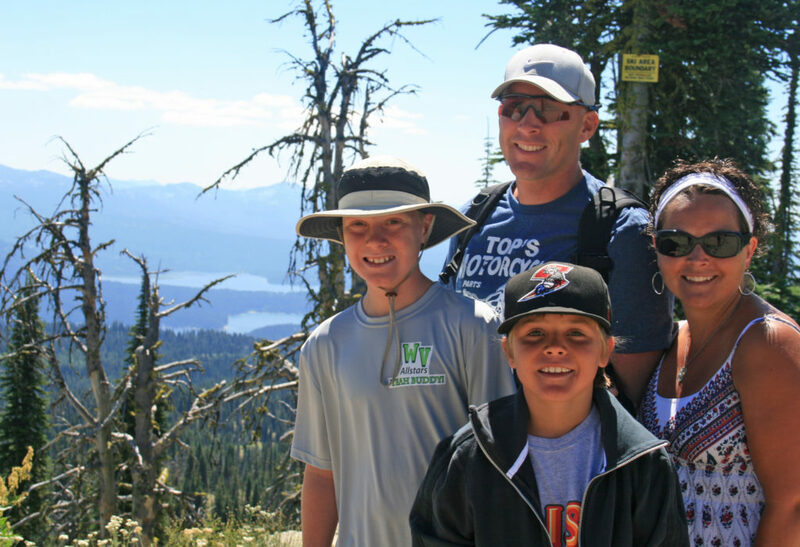 Enjoy this hike as part of your Brundage Mountain adventure!